1.In medium saucepot, combine cinnamon stick, ginger, sugar, apple cider and vinegar; heat to boiling over medium-high heat, stirring occasionally. Add cranberries and raisins; heat to boiling, stirring frequently. Reduce heat to medium-low. Add apples and cook 15 to 20 minutes or until most cranberries pop, apples are tender and mixture thickens slightly, stirring occasionally. 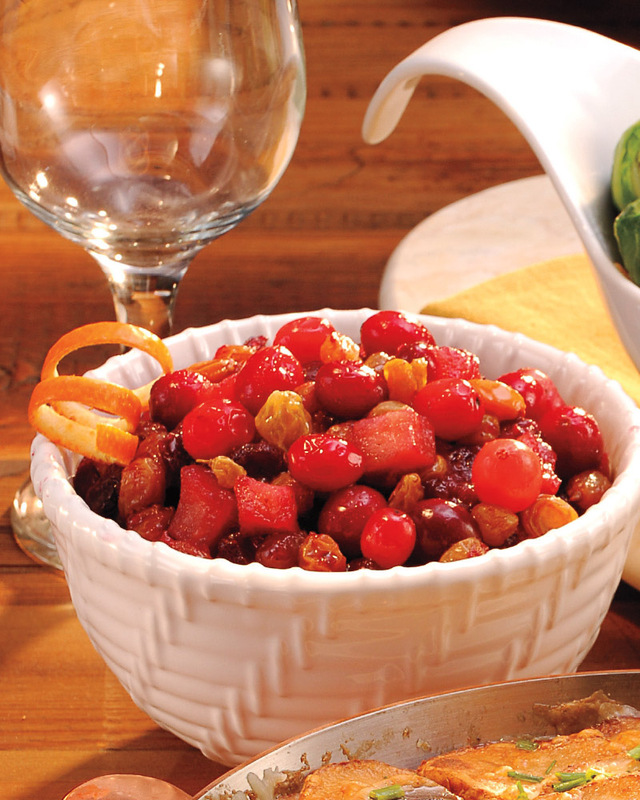 This time of year, you may find many recipes for cranberry sauce, relish and chutney. They generally have more similarities than differences, though cranberry sauce is generally the sweetest of the 3, relish tends to be chunky and thick, and chutney usually contains vinegar and spices for a tarter, savory-sweet alternative.